Anxiety disorders are the most common psychiatric disorders among adults and children. Each year roughly 18% of adults and 25% of children and teens are diagnosed with an anxiety disorder each year. Despite the shockingly high number of people affected by anxiety, only about 36% will seek treatment. Not only are anxiety disorders incredibly common, but they are on the rise. More and more children, teens and adults are reporting struggling with anxious feelings. Although anxiety can be a rather complex ailment, it is actually highly treatable. So, what’s going on with anxiety? How does it affect the brain and body and what can you do about it? Luckily, anxiety can be managed in several ways! Believe it or not, anxiety itself is a perfectly normal experience. It is your body’s stress response, a natural process that occurs when faced with a stressor. Everyone experiences anxiety and everyone experiences it a little differently. 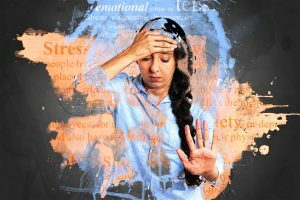 For some, they experience racing thoughts or their brains feel always “on.” For others, anxiety can be very physical, a tightening in the chest or racing heart and for many people, anxiety is a combination of the physical and mental components. So how is it that this emotion can impact the body and the brain so powerfully? 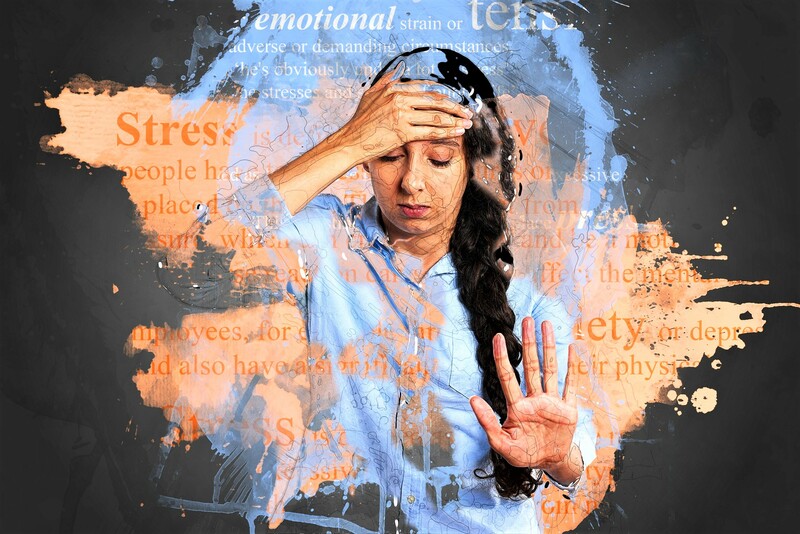 When someone is experiencing anxiety, the brain, and central nervous system are constantly perceiving threats and keeping the body in “fight or flight” to deal with the perceived danger. During Fight or Flight, the muscles need more oxygen, so the heart has to beat faster to meet the increased demand. When the heart is beating faster, it sends a signal to the lungs to bring in more oxygen, so breathing becomes quicker and shallower. Now that some of the major systems are working harder, the excretory system will cause sweat, to keep the body cool during this increased activity. The digestive system is then turned off to conserve energy for the other systems that are working harder and the endocrine system gets turned on. The endocrine system detects that the body is under stress, so it produces more cortisol and norepinephrine to keep the body revved up and ready for action. So it is easy to understand that with chronic anxiety, the body is under constant stress and is physically unable to relax. This is incredibly taxing, both physically and mentally. Eventually, the brain will begin to slow down, but instead of going to a normal baseline, it will actually slow down further and present as depression. This is one of the reasons depression and anxiety are so often seen together. As we can see, anxiety is a rather complex issue, it doesn’t only impact the mind, it recruits the whole body. So how do you treat something that is so systemic? Luckily, anxiety is one of the more treatable psychiatric conditions. With so many treatment modalities, there is almost an infinite way to combine treatments to find the best protocol for each individual. Diet and Exercise: what you eat has a huge impact on how you feel. If you’re struggling with anxiety, take a look at your sugar intake or think about cutting out gluten. Exercise is also a great way for your body to use excess cortisol in a functional way and releases endorphins which can help make you feel better and allow the body to relax more. Neurofeedback: neurofeedback training directly impacts the autonomic nervous system (ANS), your “rest and digest” system. Regular training teaches the brain and ANS to operate more efficiently and not be in constant fight or flight. Because anxiety starts in the brain, training the brain targets the root cause of the anxiety and can even make other treatments more effective. Therapy: having a therapist to help with the cognitive aspect of anxiety can be a profoundly helpful experience. Anxiety can be a lot of things, but a permanent struggle isn’t one of them. If you think you struggle with an anxiety disorder, reach out and talk to someone.